Every week, around a dozen small companies contact me about their product. Each one has a great idea. It may be glasses made to measure, luxury socks or mystery gift boxes, but each is convinced he has an exciting new product. They often involve men’s accessories (cheap to ship, no sizes) and a disproportionate number are launched by two guys in their twenties. Most of them, I don’t write about. Some sound interesting, but a couple of emails shows they have nothing new. A minority are intriguing enough to try out (usually free) but the idea or execution are usually disappointing. I don’t tend to write about them because it would take up more space than the good stuff. However, talking to a reader over the weekend, it occurred to me that perhaps an occasional round-up of such brands might be helpful, with good and bad points. In each case the brand has been made aware of my opinions. 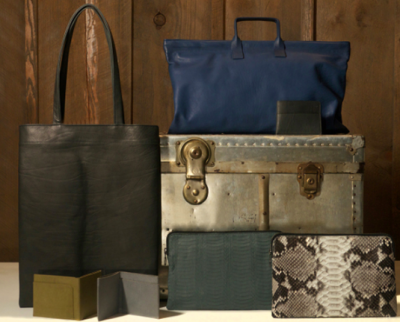 An American leather-goods brand that offers the usual range of totes, wallets and iPad cases. Although not offering anything revolutionary, their styling, colours and use of good vegetable-tanned leathers was attractive. Unfortunately, the leathers are not thick enough to deal with the unlined construction, and both body and handle of the tote I tried quickly showed signs of wear. The leather also stained irreversibly on contact with any amount of water. 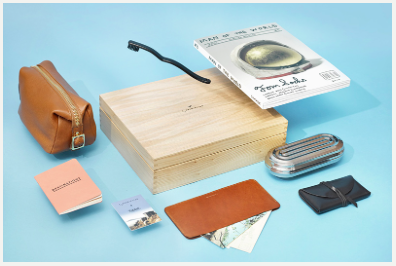 An increasingly popular concept: mystery gift boxes that you receive every few months, containing a selection of hopefully intriguing and unexpected items for the modern man. Each is curated by a different person or around a different theme. Svbscription has two levels: $300 per parcel or $559 per parcel. The boxes I tried were nicely themed (around cooking, around travel), but of the five or six items, there was never more than one I would have bought individually. The central problem is that while all of the inclusions are intriguing, the chance they fit with your taste/lifestyle/interests is low. The consistent size of the boxes also limits what you can get in there. There are a lot of small leather goods, and vouchers for services like music subscriptions and hotel loyalty programmes. Shaving products by post. 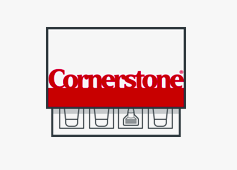 Sent to you regularly as supplies run low, and saving you the hassle of having to remember to buy them. You can personalise the box, with options for razor blades, saving gel, aftershave balm and face scrub. As mentioned, men’s accessories is a very popular area to get into. You don’t need a lot of design or technical expertise, and very little goes out of fashion. 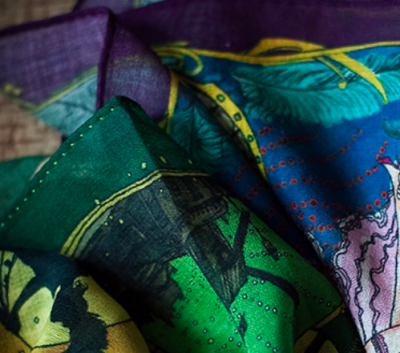 Monsieur Fox is another accessories brand, based in Dubai, selling handkerchiefs, cufflinks and ties. There’s nothing wrong with the product, except for the fact that the wool handkerchiefs have (rather garish) machine-rolled edges. The bigger problem, perhaps, is that while men’s accessories are not hard to do, that actually makes it harder to be both distinctive and elegant. The colour combinations picked by the eye of Michael Hill, Mariano Rubinacci or Audie Charles suddenly look a lot more impressive. There are plenty of other companies. Spoke is an interesting British brand doing trousers in a range of fit styles (largely around the rise and waist/hip ratio), but I haven’t tried them out for long enough yet. Atelier Eyewear is trying to do bespoke glasses online, but the interface and end product is not great so far. There are a few bag companies, such as Vincent Maxwell and Vocier, that are exciting. And of course along the way I have discovered some wonderful products and inspiring people. Troubadour, William Abraham, J Panther, all fall into this category. I’ll always write about these products: those that are genuinely original, stylish and made to the highest quality (on a par with everything else on this site). Whether I write about others or not is up to readers. You can follow the discussion on Brands review: Deux Cuirs, Svbscription, Cornerstone, Monsieur Fox by entering your email address in the box below. You will then receive an email every time a new comment is added. These will also contain a link to a page where you can stop the alerts, and remove all of your related data from the site. Nice post Simon, really interesting to hear about the other brands that didn’t quite win you over! It’s a bit off topic, but the thing about made to measure glasses reminded me of your EB Meyrowitz glasses. What do you think of your EB Meyrowitz glasses after you have had them some time? Is it money well spent? Good question. With glasses it’s 99% about design, 1% about quality. There are different qualities of acetate, and handmade glasses have nicely rounded edges and so on, but the quality of the design – how it suits your face and whether the look it creates is the one you want – is far more important. To that end, I would say probably not money well spent at Meyrowitz in terms of quality. But I do like the design. Design in glasses is very hard to do: you are working with the smallest measurements in perhaps any area of menswear, certainly in comparison to their impact. My Francois Pinton ones are still my favourites in that regard, followed by Meyrowitz, followed by Tom Davies bespoke at the bottom. You did a review of Frank Clegg leather goods a few years ago. How would you rank them today? Highly. The tote bag I had has worn very well. I’ve been a customer of SPOKE for awhile now. Their chinos are very well made and fit me perfectly. I’ve also picked up 2 of their stretch belts and T Shirts. I am very pleased and their customer service is fantastic. Give them a try. Thanks Barry. I have – I’ve been trialling their lightweight summer trousers for a couple of months and about to try the winter weight. Not sure I entirely agree about the make, but withholding judgment for the moment. Simon. I should have been more specific. I was talking about the winter weight Cobalt and Olive chinos. They fit me better than the summer Italian chinos which I returned. I felt the prices are quite fair. I look forward to your summary. ie what is it that a new mens buisiness should focus on? its very easy to say quality, design, make, craftsman ship etc but what do succesful startups do that is different? Good question. I try to address that in every post I do about a brand I have liked: precisely where their quality is better than others; precisely where they fill a hole in the market; precisely why the style works and others’ don’t. But I can see how a general post about what people do well would be interesting. As a product manager trying to introduce a start-up approach to products in the publishing industry (in my day job), questions like market fit are something I look at every day. Yes , please . We want more like this . To be able to differentiate between quality and those taking customers for ‘mugs’ is most welcome. Something similar for branded suits, tailors etc would be most welcome. Interesting thoughts and I respect your choice to not publish an article about something that is not up to the standard. In the matter Monsieur Fox, The matter of taste is of course subjective but the machine rolled edges is something you find on both Drake´s and Rubinaccis pocket squares as well. I agree that Rubinaccis are truly piece of art in terms of colour and motif but they are also 85£ with machine rolled hems. Drake´s is IMHO a bit more reasonable in their pricing and Michael Hill is brilliant as a creative director. I own pocket squares from all three makers and love them all. Just thought that it was a bit interesting with the machine rolled part as a sort of “deal breaker” when they all share it? Thanks Andreas, the point was more that if you’re going to use machine stitching, don’t highlight it so garishly. And completely agree about the price point on the Rubinaccis. I think this a good idea. Readers as well as brands would surely benefit from your comments. What about this? A decent brand or not?